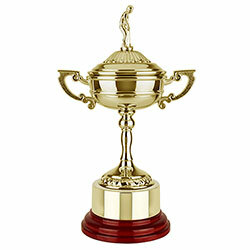 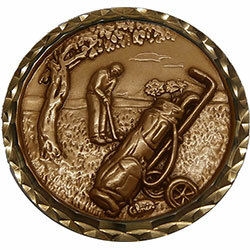 60mm gold coloured golf scene medal. 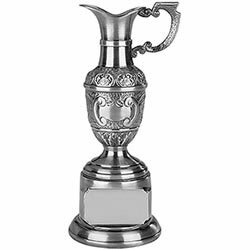 Optional event & year engraving on the back. 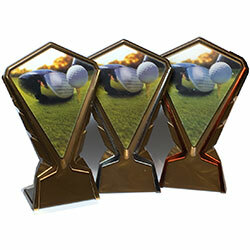 Too heavy for neck wearing so why not have one of our quality medal cases instead.